(Oak Brook, IL) November 11, 2011 – vAuto announces the release today of Provision, a powerful used vehicle inventory management engine that will eliminate the pain of finding used vehicles and optimizing inventories for profitability for auto dealers. What cars should I stock? Provision starts with a dealership’s own strategy, using its targets for used vehicle inventory value, age, turn rates and gross profits as foundational parameters. Next, Provision applies a seven-point, market supply/demand-based diagnostic test to all available used vehicles. The diagnostic measures indexes like “Demand” and “Interest,” which distill real-time clickstream data from AutoTrader.com, an industry first.  “Dealers haven’t seen this data before, and Provision ensures it’s front and center for their vehicle sourcing and decision-making process,” Pollak says. Provision sifts this market intelligence to find and recommend the “right” vehicles for a dealership, down to equipment and trim—even if a store lacks history with a particular make or model. The Provision report card assigns an A-F letter grade to individual vehicles to help dealers make the “pursue or pass” decision. “Some dealers call this ‘dialing for dollars’ and I heartily agree,” Pollak says. Where can I get the car? Provision answers this question by going straight to the industry’s top wholesale vehicle sources. The Provision engine links with the industry’s top auction outlets and lets dealers quickly drill down to run lists and lanes for the vehicles they want—another industry first. Provision allows dealers to set up automated proxy bids and/or buy outright with the system’s “click-to-purchase” functionality. Provision will also ease “get it home” logistics, with the eventual addition of automatic transport scheduling with dealer-approved providers for maximum acquisition efficiency. The release of Provision is the first vAuto major product launch since the company’s acquisition a year ago by AutoTrader.com. “When we acquired vAuto just over a year ago, it was with the promise that we’d leverage the strengths of AutoTrader.com and its family of companies to benefit dealers,” says Chip Perry, AutoTrader.com CEO. “We’re excited to further our commitment to dealers and other wholesale customers through Manheim’s collaboration with vAuto and AutoTrader.com on the Provision engine,” says Sandy Schwartz, Manheim president. Headquartered in the Chicago suburb of Oak Brook, IL, vAuto also maintains a research and development center in Austin, TX. vAuto’s innovative “Live Market View” technology allows dealers to manage their used-vehicle inventories based on actual supply-and-demand for their specific market. Today, more than 3,500 dealerships across the country use vAuto’s pricing, appraisal, stocking and merchandising systems. Dale Pollak, vAuto’s founder, is the author of two books featuring best practices and strategies for the used car department, Velocity: From the Front Line to the Bottom Line and Velocity 2.0: Paint, Pixels & Profitability. vAuto is a wholly owned subsidiary of AutoTrader.com. Additional information about vAuto is available at www.vauto.com. Atlanta-based AutoTrader.com, created in 1997, is the Internet’s ultimate automotive marketplace and consumer information website. AutoTrader.com aggregates in a single location millions of new cars, used cars and certified pre-owned cars from thousands of auto dealers and private sellers and is a leading online resource for auto dealers, individuals and manufacturers to advertise and market their vehicles to in-market shoppers. The company also provides a robust suite of software tools for dealers and manufacturers to help them manage and market their vehicle inventory and display advertising on the Internet. AutoTrader.com continues to grow key business metrics, including revenue, profitability and site traffic. Today, AutoTrader.com attracts more than 15 million unique monthly visitors who utilize the site to review descriptions, photos and videos of vehicles for sale; research and compare vehicles; review pricing and specials; and read auto-related content like buying and selling tips and editorial coverage of major auto shows and automotive trends. AutoTrader.com operates two other auto marketing brands, AutoTraderClassics.com and AutoTraderLatino.com. AutoTrader.com also owns used vehicle management software company vAuto, Kelley Blue Book (Kbb.com), HomeNet Automotive, a leading provider of online inventory management and merchandising solutions for the automotive retail industry and VinSolutions, a leading provider of end-to-end solution platforms for dealers. AutoTrader.com is a majority-owned subsidiary of Cox Enterprises. Providence Equity Partners is a 25 percent owner of the company and Kleiner Perkins Caufield & Byers is also an investor. For more information, please visit www.autotrader.com. Manheim is the world’s leading provider of vehicle remarketing services. Through its 118 worldwide wholesale operating locations, Manheim impacts every stage of a used vehicle’s life cycle, helping commercial sellers and automobile dealers maximize the full value of their vehicles. Drawing from its auction transaction volume, Manheim Consulting publishes the annual Used Car Market Report, the definitive source of data for the used car industry. Manheim Consulting offers a wide range of services including custom analytics, business optimization and macro economic analysis. Manheim is the online vehicle remarketing leader, connecting buyers and sellers to the world’s largest, most comprehensive wholesale marketplace through its extensive in-lane and online offerings. Manheim.com receives nearly 900,000 visits each week. Headquartered in Atlanta, Manheim is a subsidiary of Cox Enterprises, a leading communications, media and automotive services company. For more information, please visit www.manheim.com.